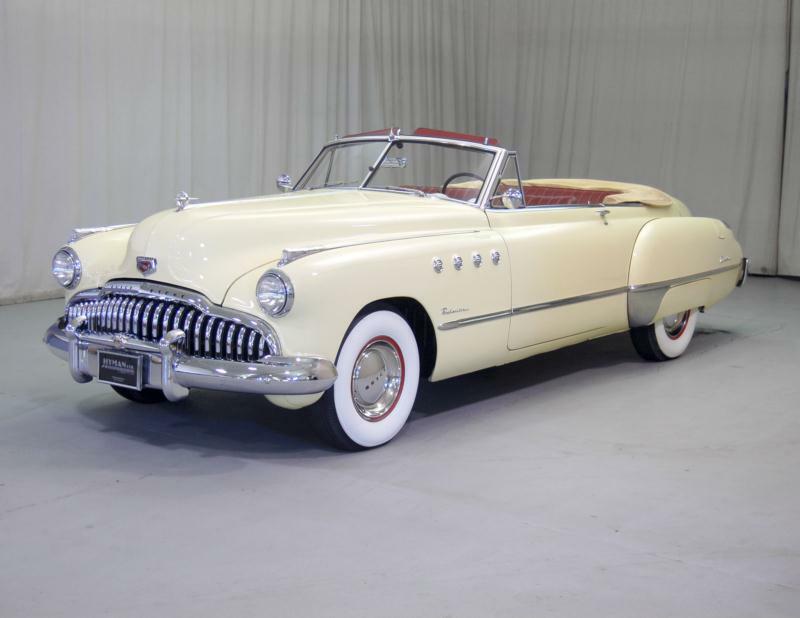 Buick introduced its fifth generation of the venerable Roadmaster name in 1949. 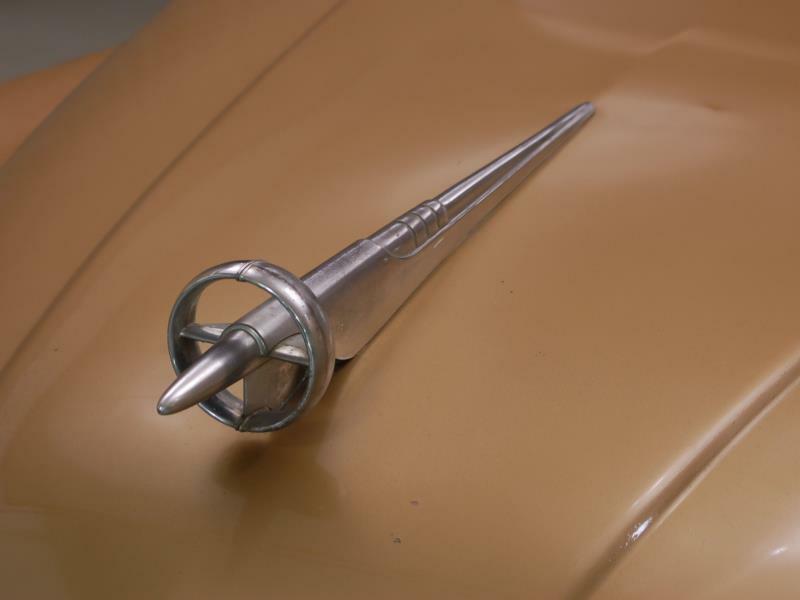 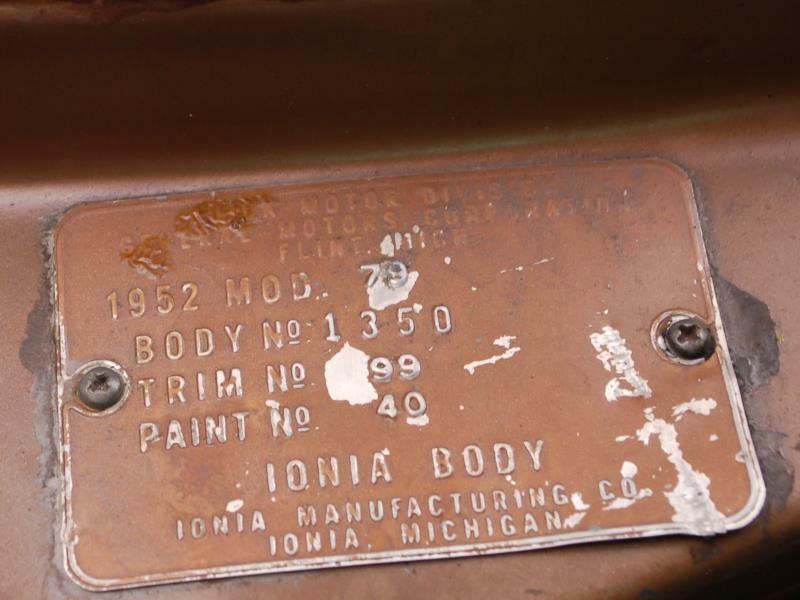 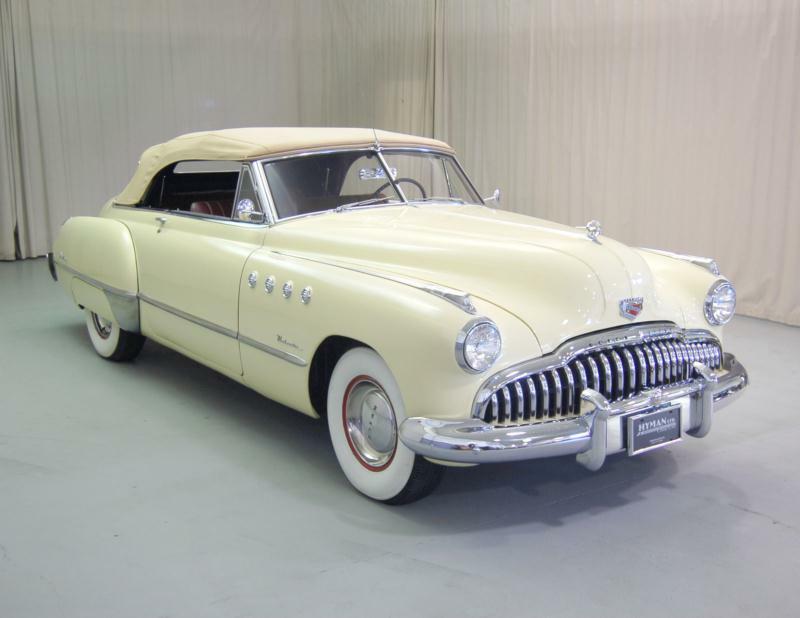 The car was the first of the “four-hole” Buicks of its era, with the brand’s trademark “ventiports” placed prominently on the front fenders. 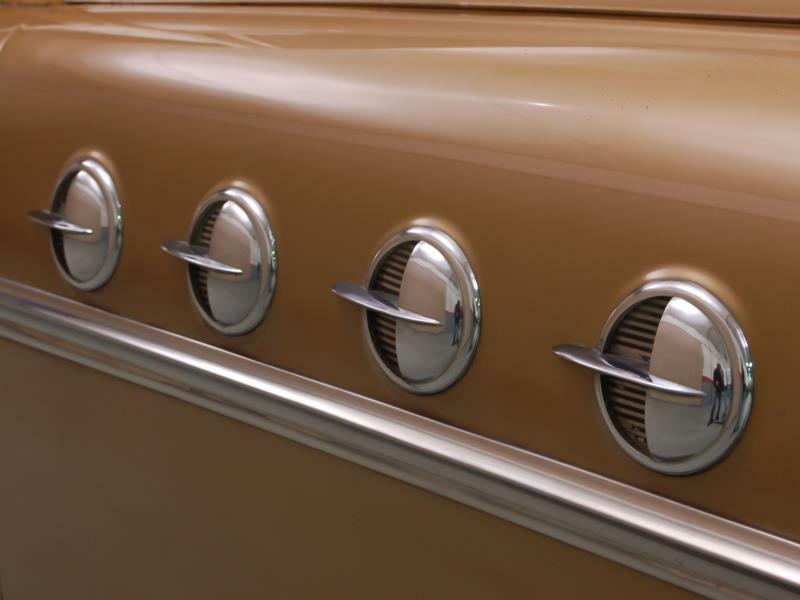 At first, these actually provided some ventilation for the engine compartment, but the ports were soon plugged and used thereafter as a visual cue only. 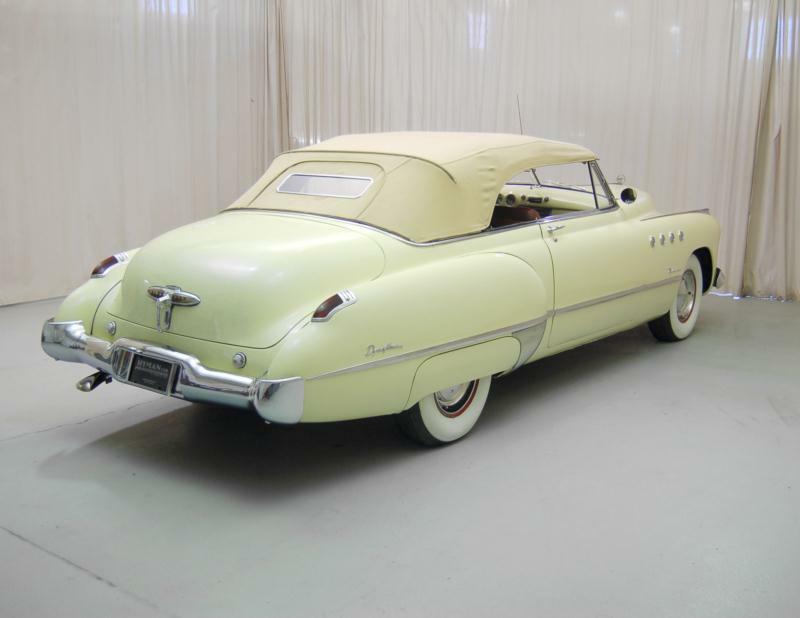 The cars were slightly smaller than the 1948 models, and were markedly more modern visually, especially with the car’s large curved windshield. 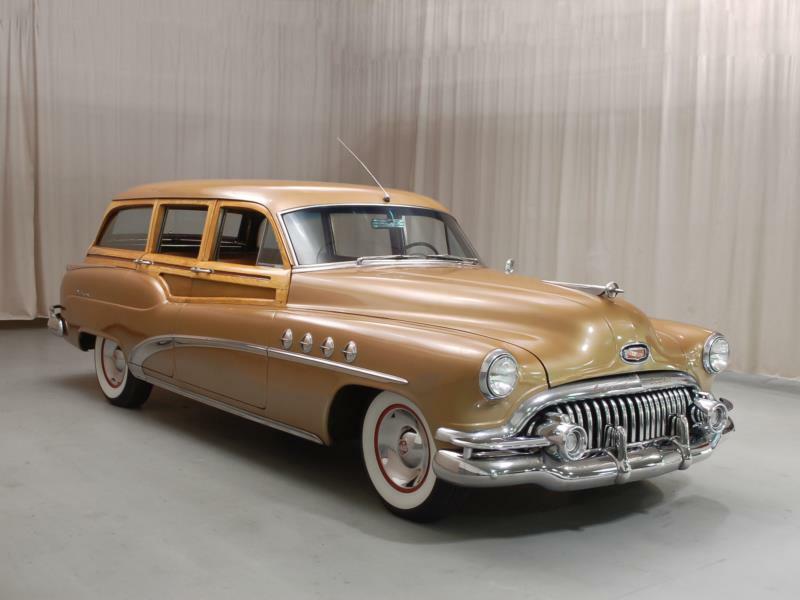 The Roadmaster carried Buick’s legendary smooth-running, straight-eight, overhead-valve engine, with 263 cid delivering 152 hp. 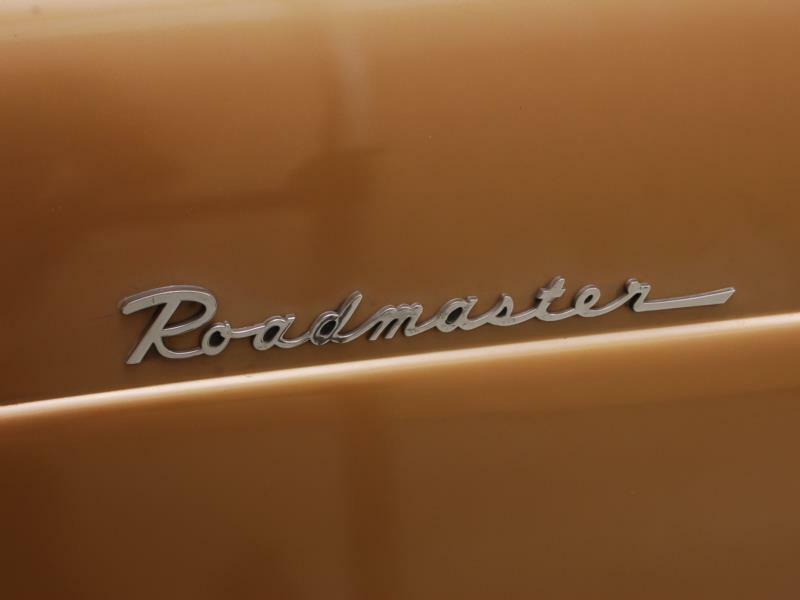 Roadmasters came with a two-speed Dynaflow automatic transmission as standard equipment, compared to the three-speed manual transmission offered on lesser models. 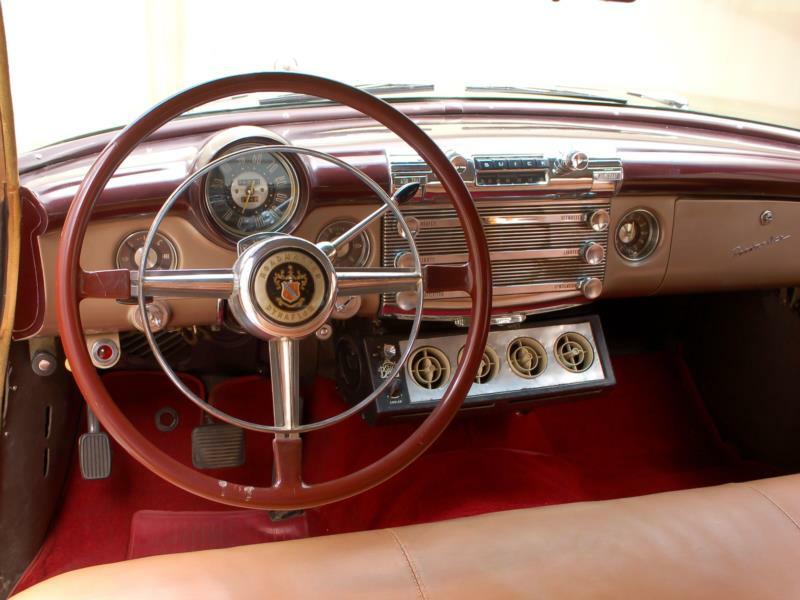 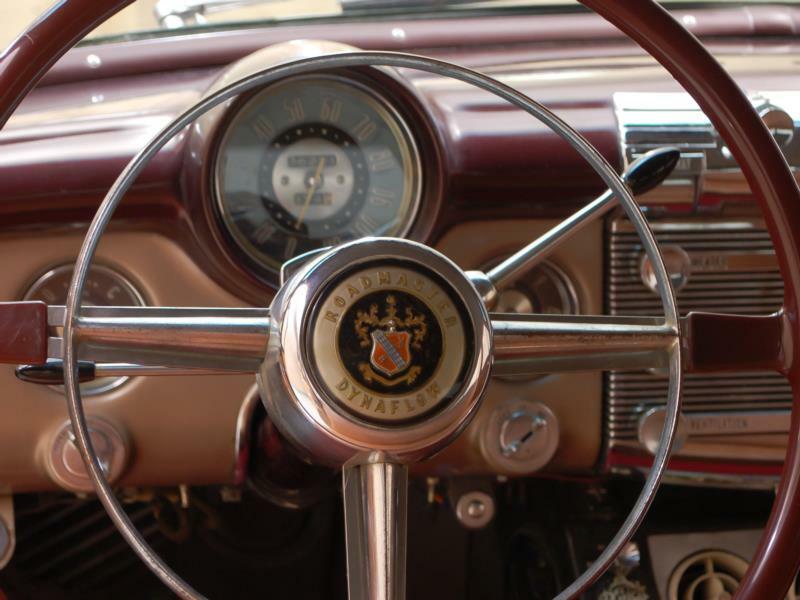 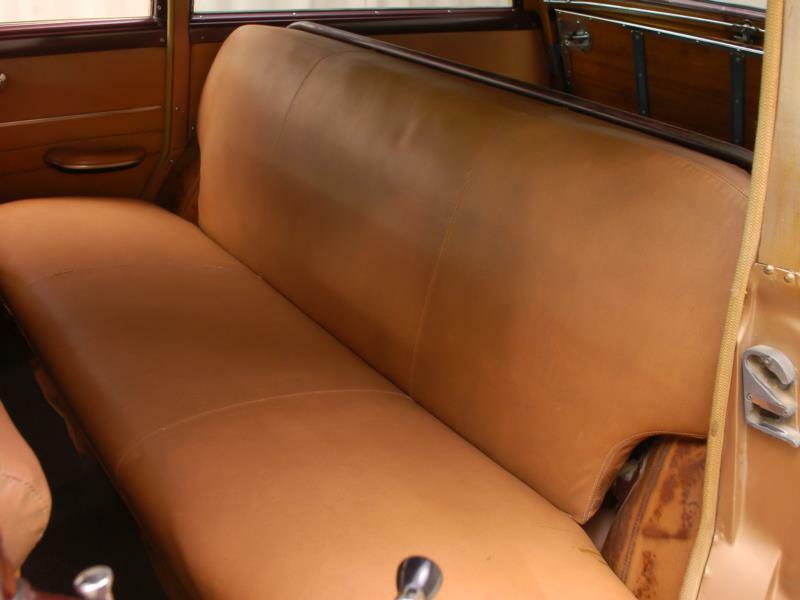 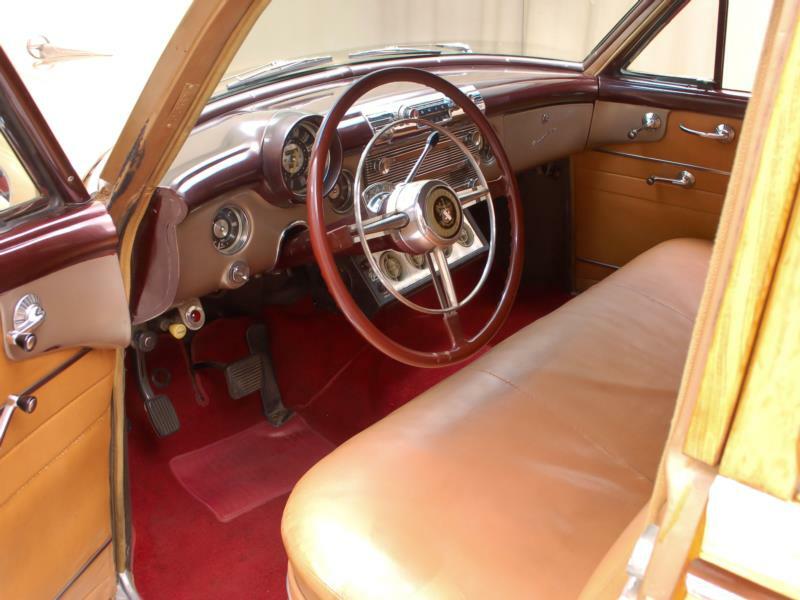 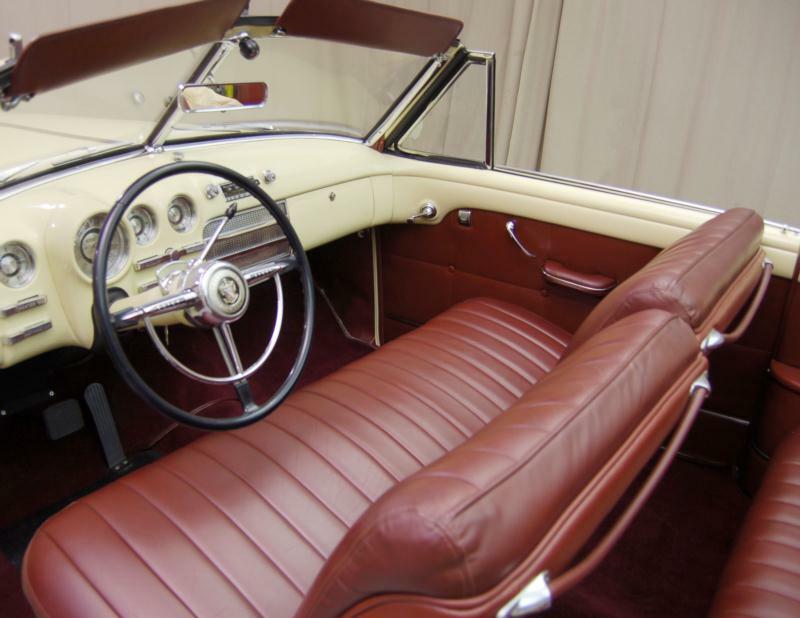 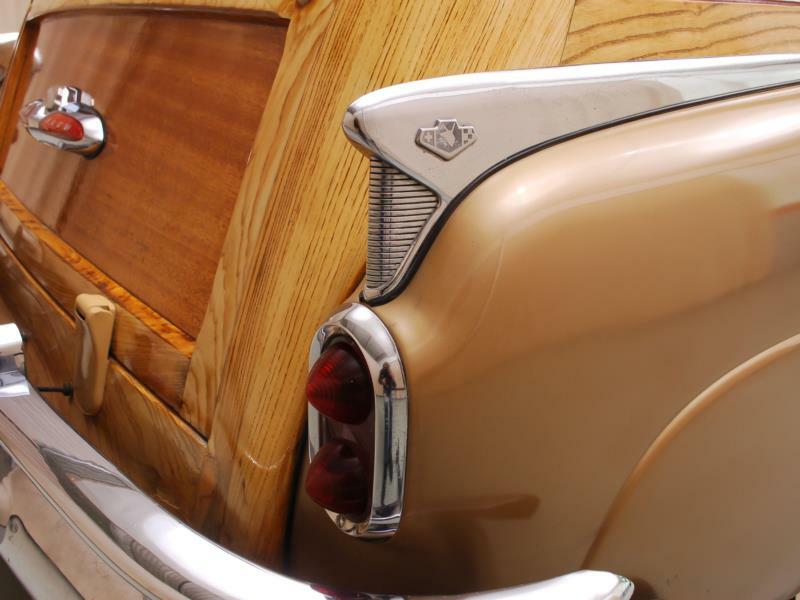 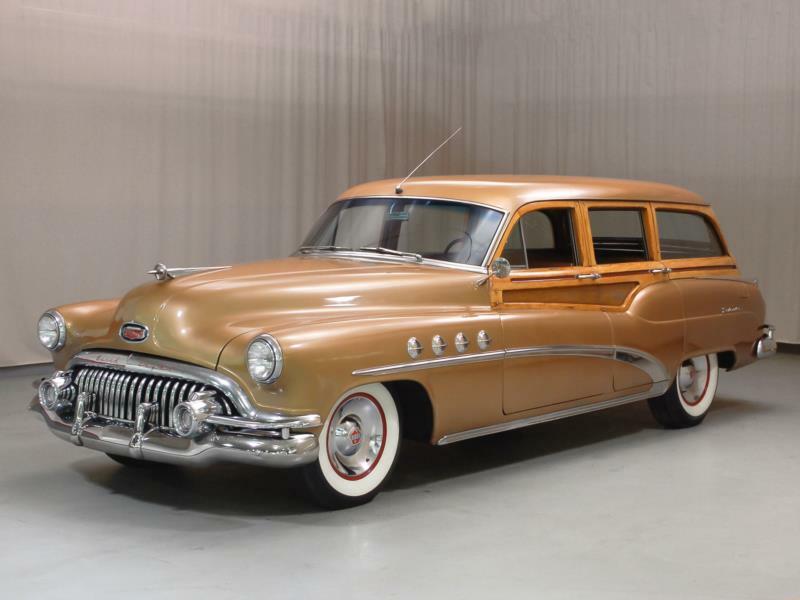 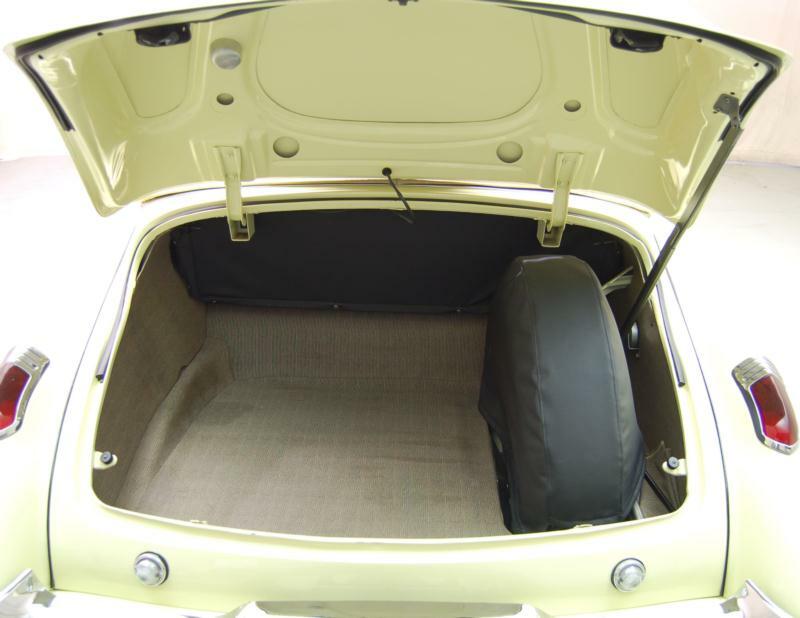 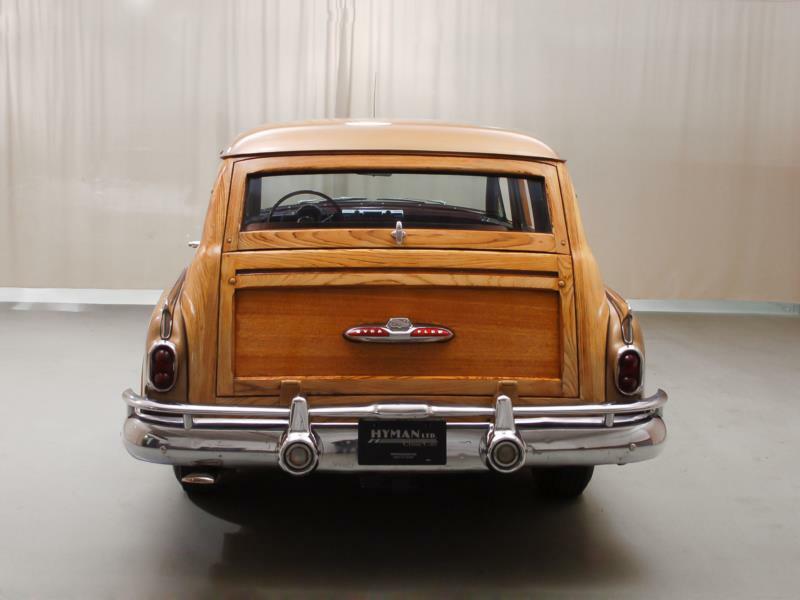 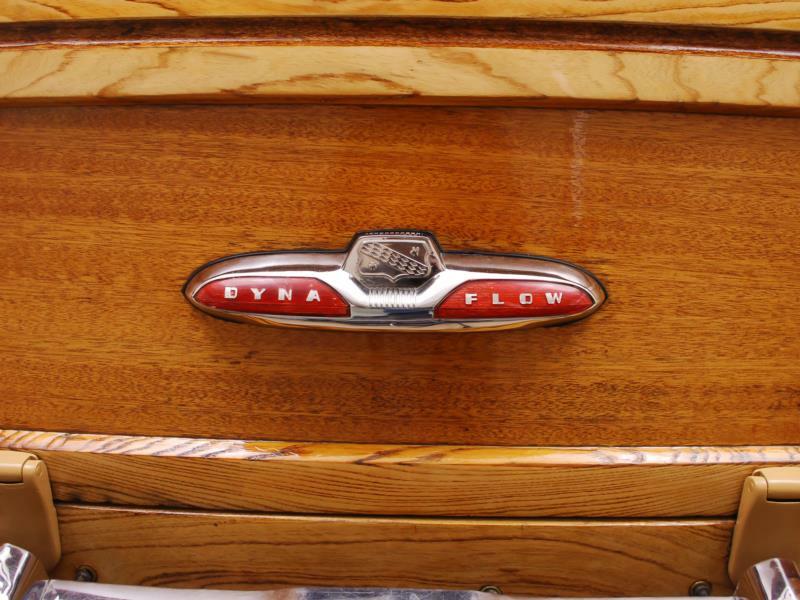 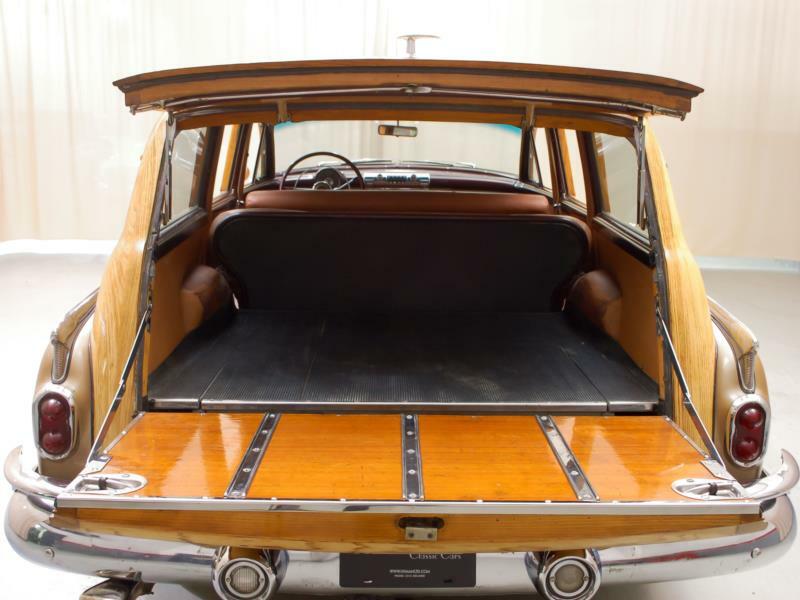 The Roadmaster offered an upgraded interior with better materials than the standard run of Buicks, and within the Roadmaster line, customers could order the Deluxe option. 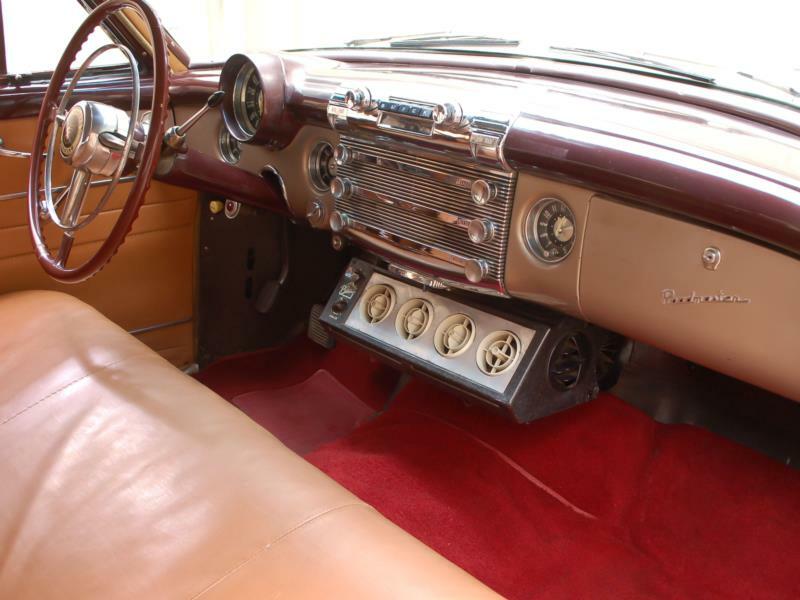 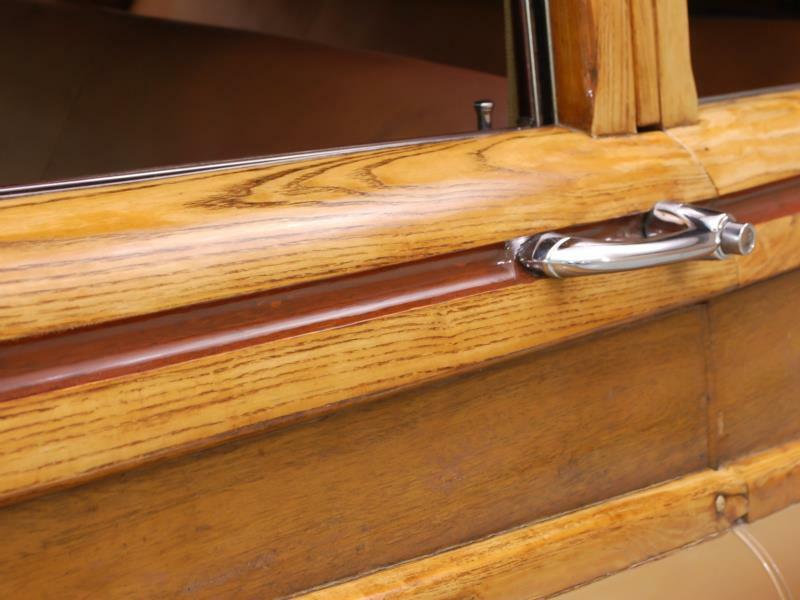 Among the features of a Deluxe Roadmaster were hydraulic power windows and seats. 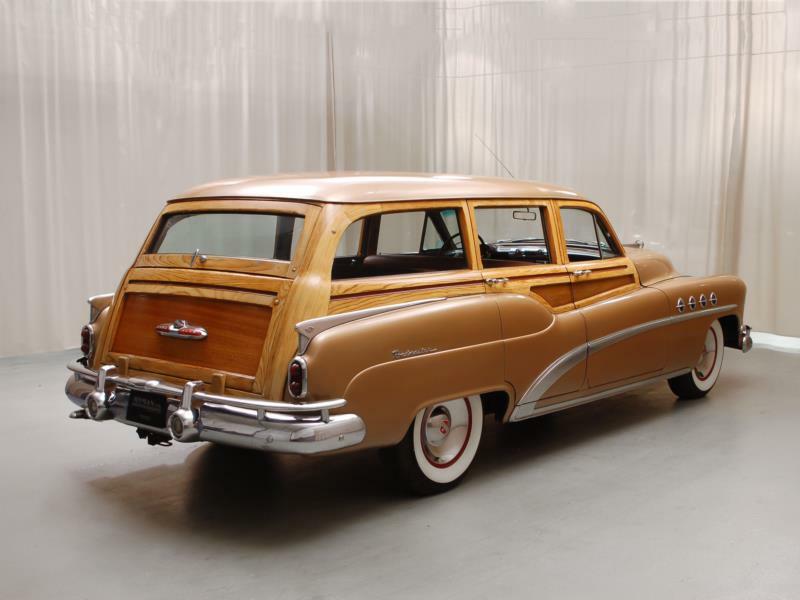 Available Buick Roadmaster body styles included a four-door sedan and two-door sedanette, a two-door hardtop coupe, a four-door station wagon, and a convertbile. 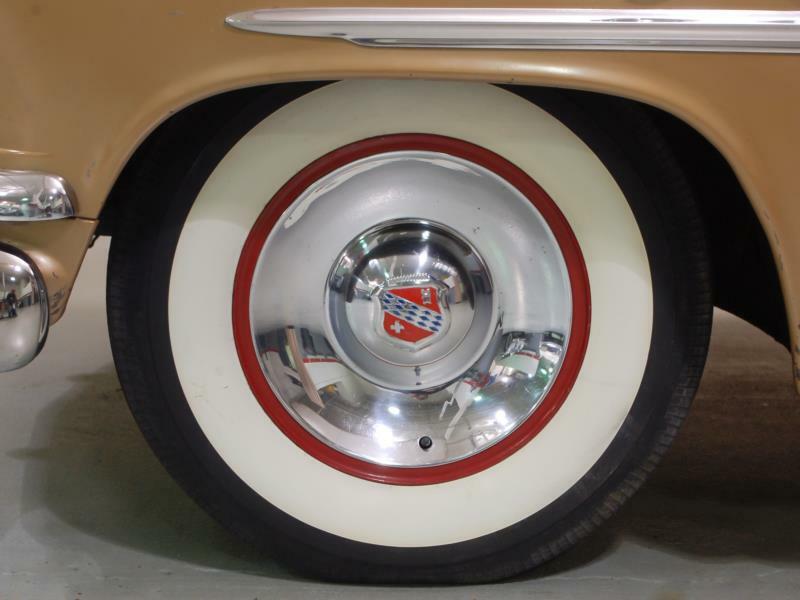 Options included a toolkit, outside mirrors, hubcaps, a spotlight, a tissue dispenser, upholstery cushion toppers, a parking brake warning light, a sunvisor vanity mirror, and a polishing kit. 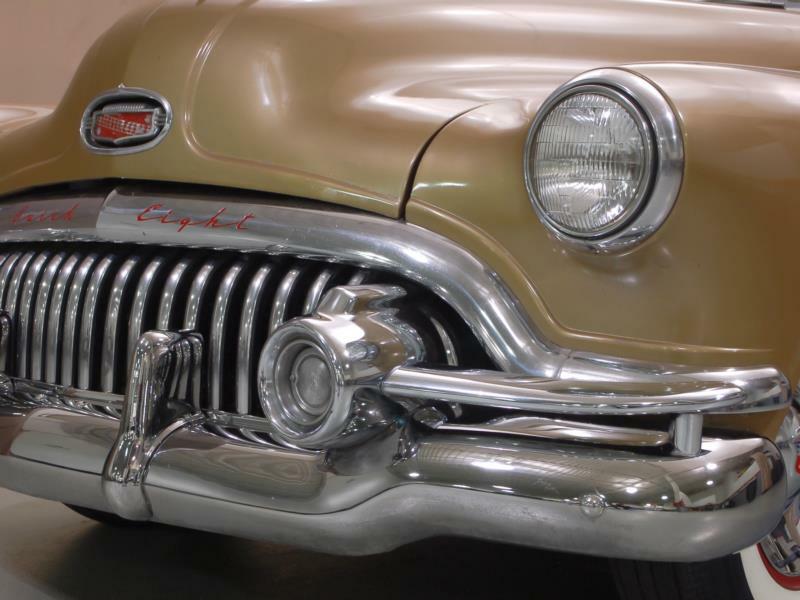 Models from 1951 featured a new grille, and engine displacement was raised to 320 cid in the same straight-eight design, delivering the same 152 hp as its prior year companion. 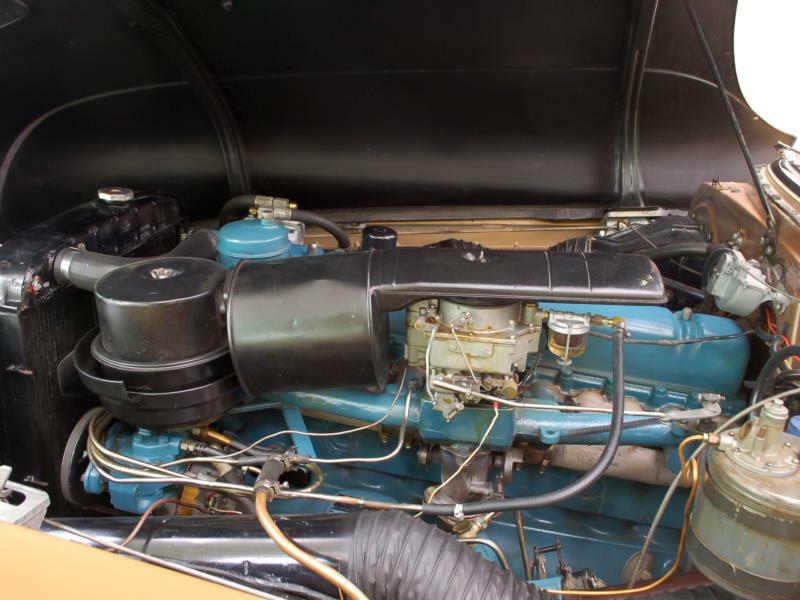 The 1952 Roadmaster’s straight-eight again saw a power increase to 170 hp. 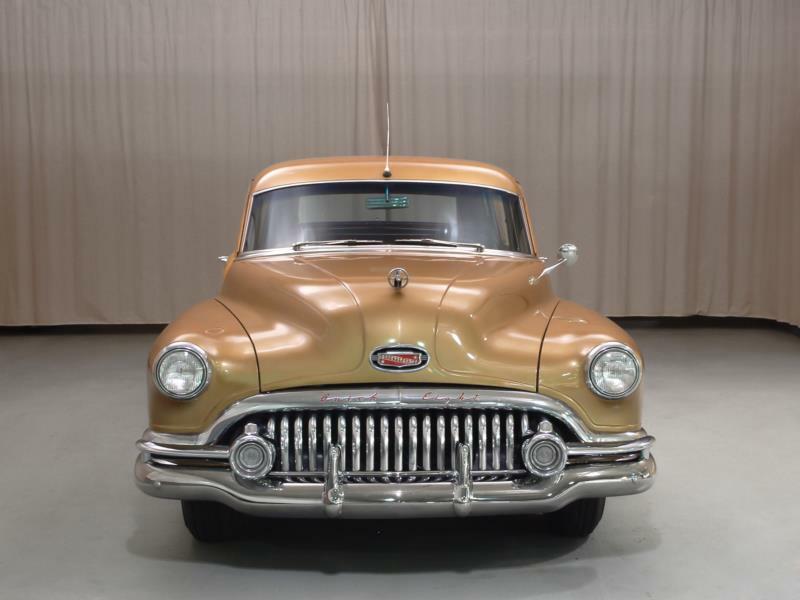 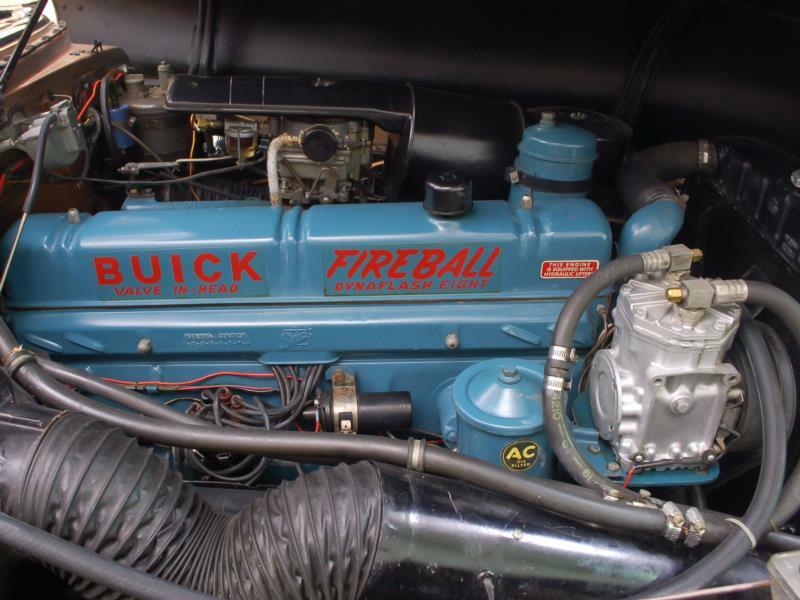 The 1953 model year was the big change for this generation of Roadmaster, with the motor switching over to Buick’s new 322-cid V-8 engine with 188 hp. 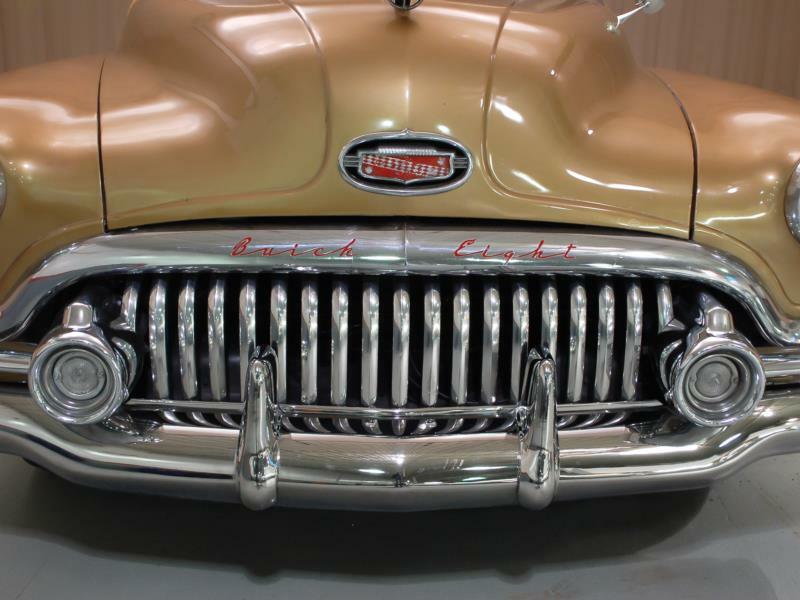 The front end was shortened to highlight the more compact powerplant, giving the Roadmaster a stubbier appearance compared to the prior years. 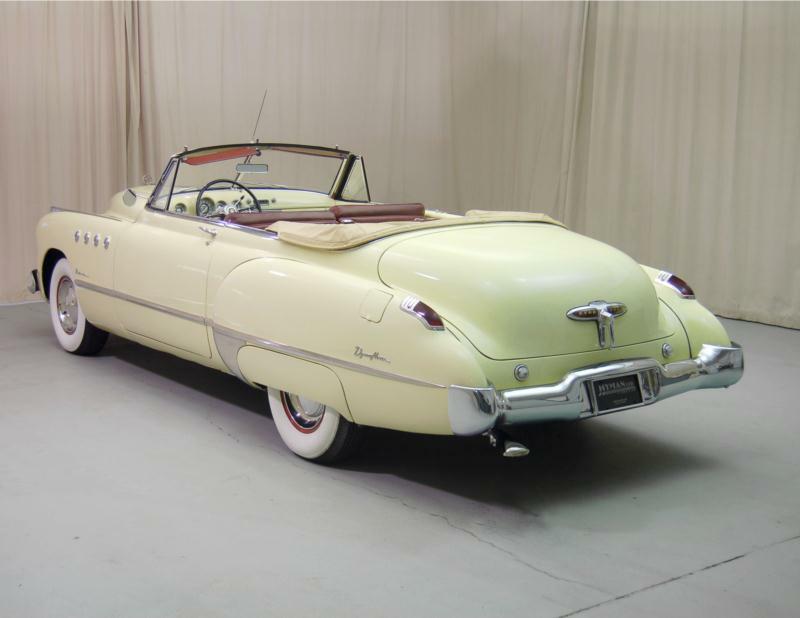 Today the most desirable of this generation of Buick Roadmaster is the convertible. 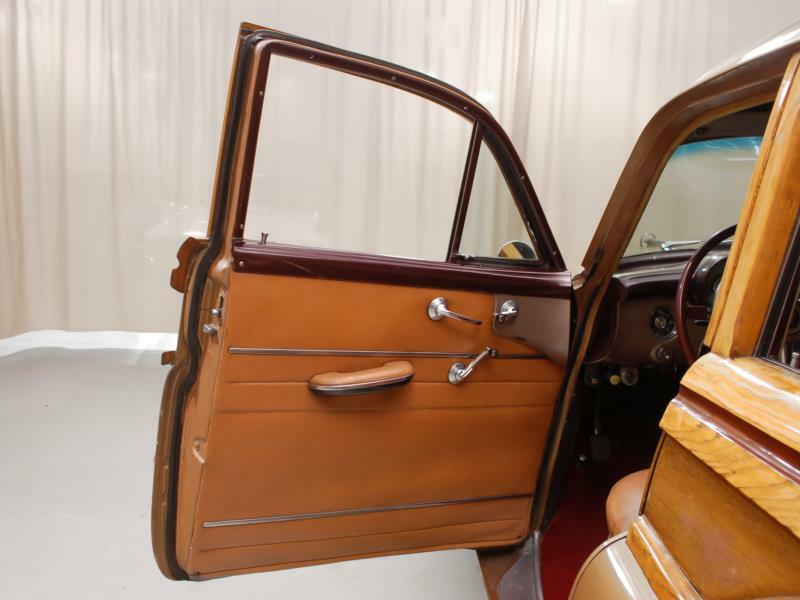 Only 8,000 were produced, and the interiors are tonier than Roadmasters of other body styles, giving them both luxury and rarity. 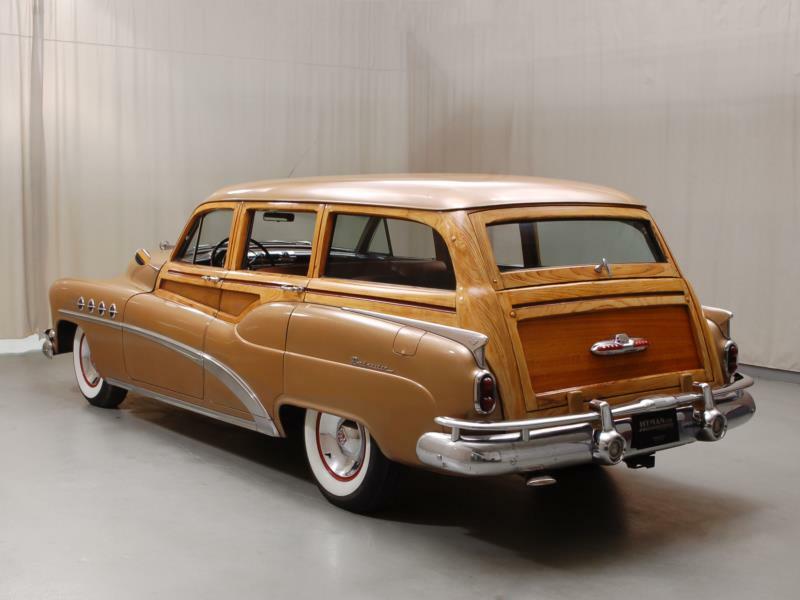 However, for sheer impressive size and the thrumming straight-eight engine, enthusiasts may wish to choose one of the roughly 180,000 four-door Roadmaster sedans made from 1950-1952.